There is historical evidence that ancient cultures have been treating pain using manipulative therapy for over 5000 years! These practices eventually evolved into the art of “bone-setting” which became widely used in Europe for many centuries -- and by the late 19th century even the Queen of England had her own 'bone-setter'. History was made however, in 1896, when a medical doctor by the name of Daniel David Palmer performed a bone-setting treatment and surprisingly restored the hearing of a patient who had been deaf for 17 years! The news of Dr. Palmer’s cure spread far and wide, and large numbers of people began coming to him not only with back pain but with many kinds of internal illnesses such as asthma, stomach ulcers, menstrual cramps, etc., and he was found to have success with many conditions which had been resistant to other available medical cures. Because of his medical background, he was the first person to combine his knowledge of the nervous system with bone-setting into the art of “chiropractic” medicine—the “practice” (praktikos) of medicine done by “hand” (chiro). He realized that treating the spine was the avenue to opening the blocks in the nervous system to potentially cure disease! Soon his success became so widespread that other medical doctors and aspiring healers pressed him to learn his methods, and within 1 year (in 1897) he founded the first chiropractic college, whereafter soon many other colleges were founded throughout the United States. Today, chiropractic doctors are trained to identify the root cause of your pain and symptoms by skillfully locating areas in your spine, shoulders, arms, hands, hips, legs, and feet that are not working properly. When joints of the spine and other regions are not moving properly, the health of the neighboring bones, muscles, ligaments, and nerves are affected . Over time, such imbalances can result in often preventable degeneration, arthritis, and disease. Chiropractors use “spinal adjustments” or joint mobilization to restore the normal function and health of the spine and surrounding tissues, unblocking the nervous system, and slowing down or even reversing the process of degenerative change. In addition to manipulation, doctors prescribe various stretching and strength- ending exercises, massage, physical therapy modalities, nutrition, and corrective postural recommendations to support the healing process. The popularity of chiropractic medicine has made it currently the second largest healing profession in the world, and it is covered by most health insurance, automobile insurance, and state worker's compensation insurance throughout the United States. WHAT TYPE OF EDUCATION AND TRAINING DOES A CHIROPRACTOR HAVE? After college, it may require as much as 5 to 7 years of further study before a Chiropractic Doctor enters into private practice! 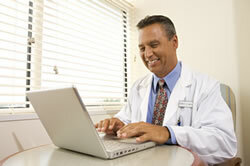 The education process for a Chiropractic Doctor (D.C.) is much like that of a Medical Doctor (M.D. ), Dentist (D.D.S. ), or Osteopath (D.O.). After college, the Chiropractic Doctor completes 4 years of education at an accredited chiropractic university. This is followed by 1 year of internship at a university affiliated clinic. After graduating, Chiropractic Doctors must pass several stringent National Board Examinations, then take oral, written, and practical examinations for the states in which they choose to practice. Oftentimes, Chiropractic Doctors will then decide to enter a 1 or 2 year associateship or preceptorship in an existing clinic which emphasizes treatment methods in which they wish to specialize. This does not mark the end of the education process! Chiropractic Doctors are required to complete yearly postgraduate courses for license renewal and to stay current on the latest scientific research. ARE CHIROPRACTIC DOCTORS SIMILAR TO PHYSICAL THERAPISTS OR MASSAGE THERAPISTS? Chiropractic doctors undergo a course of training after college which includes 4 years of chiropractic medical schooling, followed by 1 year of internship, and then often by 1 or 2 years in an associateship or preceptorship to further learn a specialty. They have a license similar to a medical doctor, dentist, or osteopath, etc., who are all primary care physicians. Physical therapists usually have a minimum of 2 years of college, followed by 2 years of physical therapy school. They then become licensed “therapists” who often work under the orders of a medical doctor, a chiropractic doctor, or osteopath, etc., to treat patients. Massage therapists are not required to have a college degree, and currently there is no statewide requirement in California for certification. Different cities have their own licensing requirements, ranging from a few month course of a minimum of 100 hours in Northern California to a minimum of 500 hours of massage education for most of Southern California. A “chiropractic adjustment” is the art of imparting a specific movement in a precise direction to restore a joint's ability to move correctly. When a joint is locked up or moving abnormally due to a past injury or improper use, an adjustment or manipulation serves to interrupt the cycle of inflammation and degeneration that is occuring within the joint. When the spine is free of such inflammation, nerve pressures are diminished, and channels of normal communication in the nervous system are restored to all of the body's systems from head to toe. After years of training and clinical experience, each chiropractic doctor becomes highly skilled in the delivery of a variety of adjusting approaches to treat the spine, shoulders, arms, hands, hips, knees, feet. Based upon the age, size, and health of a patient, a chiropractor adapts the adjusting procedure to be more comfortable and to meet their specific needs. Patients often note a reduction of pain with noticeable improvement immediately following treatment. Insurance companies do extensive research, and they base their premiums on how much risk there is to insure a person or a profession. My malpractice insurance premiums, for example, run less than $2,000 per year. A family practice M.D. spends about $25,000 per year, while an orthopedist spends in the neighborhood of $70,000 per year for malpractice coverage. My automobile insurance actually costs about the same amount as my malpractice insurance! Based on these figures, it is obvious that chiropractic treatment is very safe as compared to medical care. Actually, not all adjusting techniques produce the sound associated with "popping” knuckles. Some techniques create no sound at all, some a little... What causes this? The mystery may have been solved by a British research team that took x-ray movies of people "popping" their knuckles. The sound is caused by gas rushing in to fill the partial vacuum created when the joints are slightly separated. This release of pressure in the joint is also associated with a release of tension. 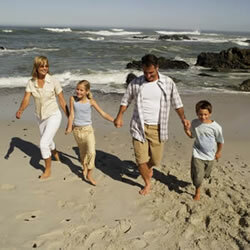 These factors are partly responsible for the relief people feel from having an adjustment. IS IT BAD TO CRACK YOUR OWN BACK AND NECK? The desire to “pop” the neck or back is caused by a feeling of irritation or muscle tension surrounding a joint. This irritation and tension is usually most present where the spine is being asked to try to move beyond its normal limits. When one area of the spine is jammed or moving too little, it causes the neighboring joints to have to compensate by moving too much. Too much movement forces the ligaments around these joints to loosen, making the area easy to “pop” by one's own minimal self-effort. Thus, the feeling of needing to pop a joint is usually present in areas of the spine which are already over-strained and shouldn't be adjusted!! I wish the answer were “yes”, I would love to be able to treat myself! However even chiropractors with years of expertise in spinal manipulation need to see a colleague for their own treatment. 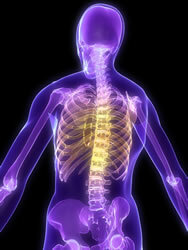 For one thing, it is very difficult to diagnose which joints of the spine require manipulation. Some joints are painful due to too much movement, others are painful due to too little movement. Once a jammed or fixated joint is located by a skilled doctor, a chiropractic adjustment must be applied using a specific force, in a specific direction, trying to affect only the specific spinal joint in question… So it is virtually impossible to adjust oneself. It is possible to turn or bend or twist in certain ways to create a "popping" sound, like the sound that sometimes accompanies a chiropractic adjustment. Unfortunately, this type of joint manipulation is usually counterproductive, often making an already overly loose or unstable area of the spine even more unsteady. Thus, self-adjusting usually results in an aggravation of one’s underlying condition rather than a cure. CAN I DO YOGA OR ANY EXERCISES INSTEAD OF SEEING A CHIROPRACTOR? 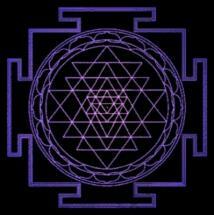 Attempting to treat spinal problems primarily with yoga or exercise is often unsuccessful and at times very dangerous. Yoga and exercise are designed to restore movement and function to the spine as a whole, but research has shown that individual inflammed, fixated, or degenerating joints of the spine may persist and even be worsened by attempted stretching or strengthening exercises. Once a skilled chiropractor restores proper motion to all areas of the spine, and inflammation subsides, stretches and exercises can then be very beneficial and supportive to healing. Chiropractic care, proper stretching and strengthening, and massage are each vital parts of a "holistic" approach to successfully treating spinal conditions. CAN I TELL IF I NEED ANY SPINAL CARE WITHOUT CONSULTING A CHIROPRACTOR? Not Always. A problem with the vertebrae of the spine leading to spinal nerve stress is like a dental cavity--you may have it for a long time before symptoms appear. That's why periodic spinal check-ups are so important. Although it may be possible to know you have spinal nerve stress when you are in pain, it is rarely possible to be sure you don’t have nerve stress in the absence of pain. An occasional spinal check-up is always a good idea for preventing small problems from turning into much larger and harder to treat conditions. DO MOST INSURANCE PLANS COVER CHIROPRACTIC CARE? 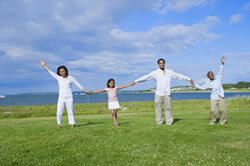 Many people do not realize that most insurance plans cover chiropractic care. Even though we are non-network providers for most health insurance plans, your insurance will probably still cover a significant percentage of your treatment here. Our discounted services are often one half the cost of most other offices due to our low overhead, and since your insurance company will often pay only a small percentage less in benefits for treatment here than at offices which are on your provider list, your overall out-of-pocket expenses may be much less when you receive care at our clinic! If you have any questions about whether your insurance will cover your care in our office, we can verify your insurance for you before your visit. There are usually No Out-of-Pocket Costs for patients seeking care due to automobile accidents or work-related injuries! IF I HAVE BEEN IN AN AUTOMOBILE ACCIDENT SHOULD I SEEK CHIROPRACTIC CARE? 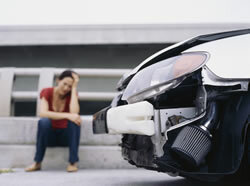 Often accident victims don't realize the extent of their injuries. The majority of the detrimental effects of motor vehicle accidents manifest later and with possible greater degrees of severity. This is much like athletes who have played a rough or contact sport: oftentimes many days, months, or years later the effects of their past injuries come back to haunt them. If the problems created by the trauma of a motor vehicle collision are identified and treated properly in the early stages, the potential for long-term pain and suffering is greatly reduced. Research has shown that five years following motor vehicle injuries, about 40% of people usually develop arthritic degenerative changes in their spines. Chiropractic care can especially help prevent this type of arthritis. WHAT IS A "SLIPPED DISC" AND HOW CAN IT BE TREATED? The discs of the spine are like shock absorbers. They occupy the spaces between the spinal vertebrae, and have many layers of fibers surrounding a jelly-like center. A disc can tear, bulge, herniate, thin, dry out, or collapse causing an irritation of nearby tissue. Most disc problems result from long-term spinal imbalances and postural stress. Chiropractic treatment, whose goal is not only to relieve pain but also to normalize stress and imbalances, has a high degree of success in the management of disc problems. Only 1 in 100 herniated discs require a surgical intervention, and most orthopedic surgeons will suggest obtaining at least 3 months of conservative care first before even considering a spinal surgery! Most people feel relief within 1-3 weeks care. IF I'M AN ATHLETE HOW CAN I BENEFIT FROM CHIROPRACTIC CARE? Chiropractic treatment helps athletes operate at peak performance, have safer workouts, increase flexibility and stamina, and recover more quickly from training and injury. Most professional and Olympic sports teams have chiropractors on staff and many other people whose professions depend on fitness regularly utilize chiropractors. I have worked with many professional and amateur athletes who would rarely consider going into an important competition without first receiving chiropractic treatment. HOW EARLY OF AN AGE SHOULD I TAKE MY CHILD FOR A CHIROPRACTIC CHECK-UP? When you want to give your child a head start in good health and all the benefits of a conservative, drugless approach to health care, you should take your child to a chiropractor. It is important to have a chiropractic exam early in a child’s life as spinal trauma can occur during birth, as well as from tumbles while learning to sit up or walk. Your child’s spine grows almost 50% in length during the first year. This is equivalent to a six-footer growing to nine feet in just 12 months! It is this kind of tremendous growth and developmental changes which make a complete chiropractic examination so important in the early stages of a child’s life. Later, learning to ride a bicycle, playing sports, or other childhood activities can cause spinal problems. Many childhood health complaints that are brushed off as "growing pains" can often be traced to the spine. Regular chiropractic check-ups can identify these problems early and help avoid many of the health complaints seen later in adults. Probably not…the oldest patient I ever treated was 96 years young! He was an ex-jazz musician who always brightened up the office with his wit, vitality, and charm whenever he came in. I have seen that older people--in general--respond very quickly to chiropractic treatment. People often experience a relief of their pain, a decrease in stiffness, and a return of a greater range of motion in their necks, backs, shoulders, arms, hips, etc. It is wonderful to offer older patients a natural and effective approach to healing which helps them to become more self-reliant and less reliant on drugs for relief of their pain and symptoms. CAN A PREGNANT WOMAN GO TO A CHIROPRACTOR? Yes... and sometimes they make the most grateful patients when they finally can experience some relief from the extra burden of their aches and pains. Chiropractic adjustments can reduce the incidence of discomfort in the lower back, legs, and between the shoulder blades due to the stresses of pregnancy. In some cases, fewer headaches and problems with nausea and elimination may also result. Pregnant women whom I have treated said that chiropractic care made their deliveries much easier than their previous experiences in child birth. Achieving greater freedom from spinal nerve interference can lead to a more comfortable pregnancy, a healthier and more supportive environment for the development of the baby, and an easier delivery. Yes... It's an unfortunate fact that half of those who had spinal surgery discover a return of their original symptoms months or years later. They then face the prospect of additional surgery. This too common occurrence is known as the "Failed Back Surgery Syndrome." Chiropractic treatment may help to relieve pain and stiffness and thus work to prevent repeated operations. CAN A PERSON WHO HAS HAD A BROKEN BACK OR NECK SEE A CHIROPRACTOR? ​After full healing of the fracture, the answer is “yes”! A broken bone forms a callus or bone scar when it heals that makes it often stronger than the previously existing bone. However, healing is not complete after immobilization and removal of the brace or cast. Where spinal joints are concerned, a fracture is usually accompanied by serious injuries to muscles, ligaments, discs, and surrounding nerves. Chiropractic care can be an integral part in the rehabilitation and restoration of normal function in these tissues which are adjacent to the site of fracture. Oftentimes, the stages of rehabilitation which begin after the fracture heals are the most critical and important for insuring a good, long-term, healthy outcome.However, healing is not complete after immobilization and removal of the brace or surrounding nerves. Chiropractic care can be an integral part in the rehabilitation and restoration of normal function in these tissues which are adjacent to the site of fracture. Oftentimes, the stages of rehabilitation which begin after the fracture heals are the most critical and important for insuring a good, long-term, healthy outcome. In most cases, by the time we feel symptoms, the detrimental effects of spinal problems have already resulted in some degree of damage… A similar example of this is that by the time significant tooth pain develops, we may have developed a deep cavity. Using how we feel as our health barometer, instead of regular check-ups, can be a very unpredictable and even dangerous practice. 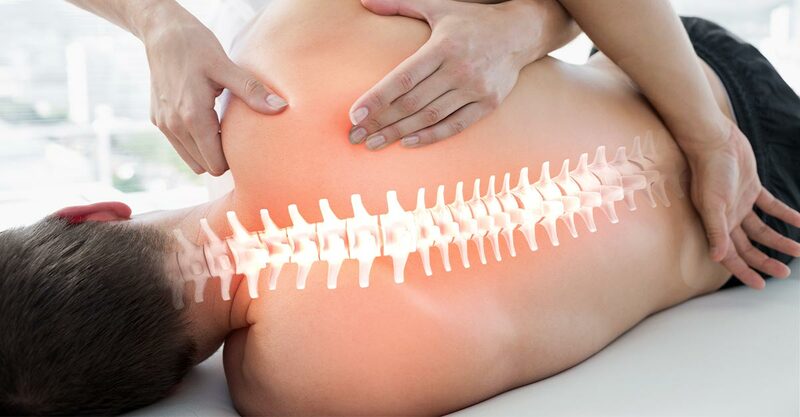 A chiropractic doctor can detect and help prevent spinal problems very early before they cause lasting harm. Many patients experience almost instant relief, while others discover it can take a few weeks. Numerous factors affect the healing process. Within 1-3 treatments, most patients see enough progress to encourage them to know their plan of care is working. While pain management or getting rid of the outer symptoms is important, after the pain goes away, the primary goal of chiropractic care is to treat the underlying cause of your problem. This prevents further degeneration, disease, and irritation of your nervous system. Repairing the cause helps insure a healthier function of the spine and nervous system for years to come, allowing you to stay pain-free in your normal daily lifestyle, participating in the sports and recreational activities of your choice. WHAT WILL HAPPEN IF I STOP TREATMENT TOO SOON? When a program of care is stopped too early, many of the benefits which accrued from care stand to be lost. Even after an entire course of orthodonture (which is often 2-4 years wearing braces), patients are cautioned that if they don't wear their retainers, many teeth will revert back to their previous condition. This illustrates that tissue patterns are deeply ingrained in the body and hard to overcome without considerable effort. But still it is a great temptation when our pain is gone to think about stopping care. The treatment goal in chiropractic is not only to relieve pain in the short-term, but to restore normal movement and alignment to restricted and degenerating areas of the spine. As normal mobility and function are restored, the spine begins to heal itself, and stay healed for the long-term. Discontinuing care too soon can cause areas of the spine that were improving to revert back again into a misaligned, immobile, and inflamed state, causing nerve interference and the cycle of degeneration to resume. Keeping the joints functioning properly and the spine free of nerve irritation is not only important to keeping you out of pain, but also helps to avoid degenerative problems and arthritis which wear away the bones, muscles, and joints of the body. With patience and adherence to a good treatment program, it is possible to achieve the goal you desire of maintaining an active and pain-free lifestyle for many years to come. DON'T OSTEOPATHIC DOCTORS ALSO DO MANIPULATION? Osteopathic doctors used to specialize in manipulation, but since adopting pharmacology into their curriculum, their practice began to gravitate more and more away from using manipulation and toward the use of drug intervention and typical medical treatments. In reviewing the osteopaths listed on the American Osteopathic Association Web site, one can't help but notice that the majority don't list Osteopathic Manipulation as their "Primary Specialty." Most position themselves as specializing in "Family Practice," "Internal Medicine," or something else. When reviewing a listing of osteopathic doctors in California, it was noted that only 4, (2%) of the first 200, listed Osteopathic Manipulation as their primary specialty. A recent study published in the Journal of the American Osteopathic Association provides interesting insight into the current status of osteopathic manipulative treatment. Compared to nearly 1400 clinic hours that chiropractic doctors receive in spinal manipulative therapy, some osteopaths have undergone only 26 clinic hours. Thereafter, chiropractic doctors engage in a daily practice specializing in manipulation and musculoskeletal medicine, while the vast majority of osteopathic doctors engage in various other medical specialties. IS THERE ANY WAY THAT I CAN SPEED UP MY HEALING PROCESS? Use proper sitting and lifting methods and modify your physical and work habits to reduce spinal stress to avoid re-injury. Follow the doctor’s recommendations for stretching and (later) strengthening exercises to help retrain the muscles and tissues to better support your spine. Try to reduce your tension and stress levels and get the appropriate amount of rest that your body needs. Avoid sleeping on your stomach, and use appropriate pillows for your head and knees with a good supportive mattress. Maintain proper nutrition with balanced meals and consider additional vitamin and mineral supplementation, per your doctor's recommendations, especially ... Calcium and Magnesium. Consider sliming down if you're overweight -- it might be a good time to think about reducing any unnecessary added ....stress upon your spine and body. Keep your appointments and follow your doctor's recommendations in the spirit of a true “team” approach for sharing in the ....responsibility of achieving better health and your desired goals.